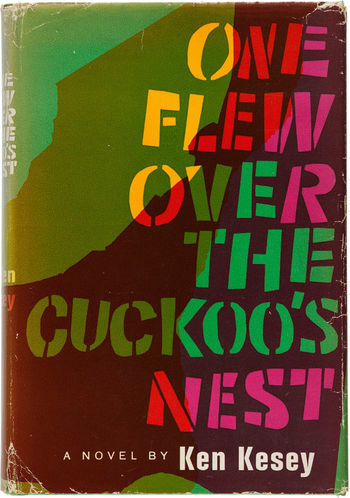 Alexander Dunst writes on depth psychology and the “Congress on the Dialectics of Liberation”, an event that invites questions about some of our accepted notions of the Sixties’ counterculture and its afterlives. Political and cultural opposition in the West at times opposed, but never escaped, a psychological understanding of politics. Martin Luther King claimed that America had a schizophrenic personality and depicted the struggle against racism as a cure against madness. The founding document of the student movement in the United States, “The Port Huron Statement”, denounced the “schizophrenic public-military […] economy” of the Cold War. [iii] Ken Kesey’s One Flew Over the Cuckoo’s Nest offered a dystopian portrait of institutional psychiatry but opposed it with a romantic vision of madness as absolute autonomy – as did Jack Kerouac’s On the Road. The African American novelist Richard Wright depicted the Communist party as an escape from the madness of racism – and, ultimately, another form of psychosis. These different strands of psychological thought and political opposition intersected at various points, and found one of their most memorable expressions at a unique event in London that has been almost forgotten since. 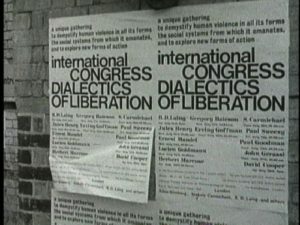 The “Congress on the Dialectics of Liberation” took place from 15 to 30 July 1967 at the Roundhouse in Chalk Farm. A former railway depot, the Roundhouse had emerged a year earlier as a venue for concerts and “happenings”, including the underground UFO Club and gigs by Pink Floyd and the Soft Machine. About a year before the Congress, Berke and Laing started to write letters, addressing themselves to a variety of prominent intellectuals, artists and activists. Today, this correspondence and other materials documenting the Congress are housed in a former therapy center for children in the hamlet of Toddington in Gloucestershire. One of the joys of spending time at this archive in November 2016 was that I would open a box or folder and find myself looking at a letter penned by Martin Luther King, or a hand-written note by Simone de Beauvoir. Going through the files, you notice that Berke and Laing seemingly wrote to everyone they could think of: Theodor Adorno, Gregory Bateson, Joan Baez, John Berger, Ernst Bloch, Stan Brakhage, Peter Brook, James Luther Bevel, Elias Canetti… You can see that I’ve only arrived at the third letter of the alphabet – the list goes on and on. Many people addressed in this remarkable correspondence didn’t make it to the event, but the roll call of speakers assembled was nonetheless impressive and certainly justified the moniker on the conference poster: a “unique gathering”. In the end, the intellectual luminaries at the Congress included Gregory Bateson, Herbert Marcuse and Stokely Carmichael. Allen Ginsberg gave a lecture, read poetry, and led chants. Ginsberg quoted Burroughs at length, who preferred to sit in the audience during the day, and then get high with Laing in the evenings. [v] CLR James spoke, as did a number of Black British and Caribbean writers: the poets Andrew Salkey and John LaRose, as well as the Cuban novelist Edmundo Desnoes, author of Memories of Underdevelopment. The activist and Buddhist monk Thich Nat Han reported from Vietnam and the Marxist philosopher Gajo Petrovic analyzed the political situation in Yugoslavia. Emmett Grogan, who co-founded a San Francisco community action group called The Diggers, gave a lecture as did Julian Beck, from the Living Theatre in New York. Again, the list goes on. 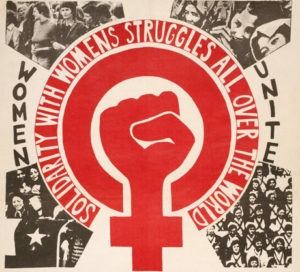 Other participants drew attention to the lack of female intellectuals at the Congress and identified a pervasive sexism in New Left and countercultural circles. The American performance artist Carolee Schneemann was the only female speaker that had been invited by the organizers, and members of the audience boycotted and booed her happening because they deemed it insufficiently radical. 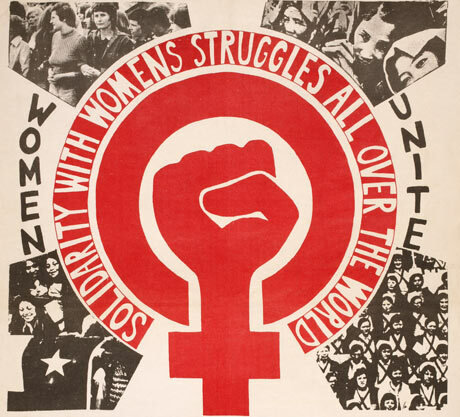 Feminist writers and activists Juliet Mitchell and Sheila Rowbotham mention the lack of female speakers at the Congress as a motivation for starting the Women’s Liberation Movement in the UK soon thereafter. The Congress had an immediate impact. The Dialectics of Liberation archive contains enquires from dozens of television and radio stations (from Sweden to Zambia). Publishers, newspapers, grassroots organizations, and individuals asked for transcripts of talks. The BBC hosted a live discussion on TV between Carmichael, Laing and Paul Goodman on the Panorama program. The BBC also hired the director Roy Battersby and Iain Sinclair to produce a 90-minute documentary. In the end, the film was never shown and in all probability destroyed., seemingly because the BBC disagreed with its support for the left-wing rhetoric espoused at the Congress. In the US, the precursor to PBS broadcasted a 30-minute documentary, titled “Anatomy of Violence”. Although the BBC documentary was never aired, news of the event was widely disseminated in other forms, not least in two volumes of edited speeches, assembled by the conference organisers. 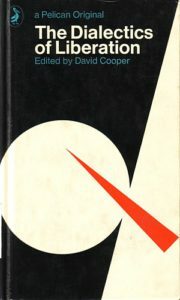 The Dialectics of Liberation, still in print today, also appeared in Danish, Swedish, Brazilian and Japanese translations. The slim Dialectics of Liberation volume (originally published with Penguin) reduced two weeks of lectures, discussions, readings, and happenings to a set of brief intellectual statements – all of them by men. Moreover, with the specific exception of Black Power, the Congress’s emphasis on postcolonial politics and antiracism, from Cuba to Vietnam, is never mentioned in the book. Neither were the poetry readings and performance art. Instead the emphasis was placed upon cultural and political analyses by heavyweights such as Bateson, Marcuse and Lucien Goldmann. What little historical writing does exist about the event takes its cue from the Penguin text and tends to ignore the rich documentation available in the archive. Looking back now at the diverse currents of opinion present at the Congress prompts us to ask several questions. For instance, what role did psychiatry (that is to say, the depth-psychological psychiatry represented by the four organizers) play in this context? Or, how did the organizers manage to assemble this curious and diverse group of artists, activists and intellectuals. Laing’s charisma provides only a partial answer. Laing, a pop star of Sixties counterculture, could only play the role of catalyst and conductor given psychology’s centrality to the wider political struggles of this time. Laing’s critique resonated with thinkers who otherwise shared very little. His indictment of the Cold War’s “total irrationality” wouldn’t have been amiss in authors and movements as different as Ginsberg, Carmichael and Marcuse, the Civil Rights Movement and the Hippies, the New Left and Women’s Liberation. Because this madness affected individuals and institutions alike, liberation from it could feasibly be imagined as social revolution and personal enlightenment. We might then say that depth psychology became a commonsense ideology in the post-war era. Like other major ideologies, psychology advanced a critical apparatus for understanding society and claimed to have the means to change it. As a form of critique, psychology helped explain how humans adapted to an inhumane world by explaining social ills as forms of psychopathology. Positively, psychology offered emotional healing in the struggle to make the world a better place. What psychology could not offer was a program of political action. Mental health for everyone has remained a pipe dream – or, perhaps, a dystopian fantasy. In the short run, that may have been an advantage. 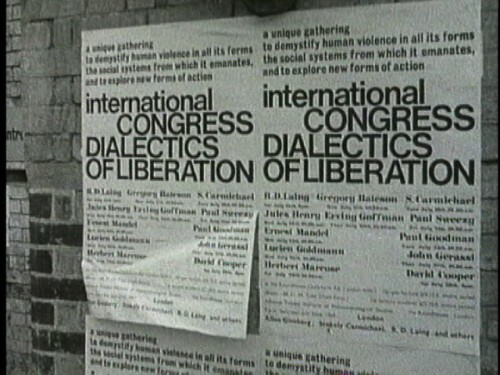 The absence of a political program in Laing’s writings probably made it easier to assemble the different movements that came together at the Congress. In the long run, it proved a distinct disadvantage. While authors and artists discussed the dialectics of liberation, the United States military, whose values and economic power so often provided a powerful driving force in American society, was itself in transition. Models of psychological warfare based on commonplace ideas about depth psychology, and unconscious features of psychic life in Vietnam were increasingly eclipsed by theories of rational choice. The rise of a biochemical and genetic psychiatry in the 1970s and ‘80s was a further harbinger of change. Laing’s dramatic rise and fall as a cultural icon can be seen as emblematic of this development. Depth psychology linked the individual and society. And for a few years during the heyday of the Sixties, it allowed revolution and revelation to be thought together as liberation, and helped form a fleeting alliance between ultimately incompatible ideas and movements. Alexander Dunst is a cultural historian and Assistant Professor in the Department of English at the University of Paderborn. His research on the Cold War focuses on the relationship between expert discourse and popular cultural and political narratives. His first monograph, Madness in Cold War America (Routledge, 2016), argued that metaphors of psychosis became a preeminent way of understanding the relationship between politics and culture during that period. More recently, he has begun work on a digital history project on the “Congress on the Dialectics of Liberation”. [i] Anon., “The Wise Old Man” Time, February 14, 1955, 62. [ii] These arguments draw on my recent monograph, titled Madness in Cold War America (Routledge, 2016). [iii] Tom Hayden, The Port Huron Statement: The Visionary Call of the 1960s Revolution (New York: Thunder’s Mouth, 2005), 79. [iv] Joseph Berke and Jacob Jakobsen, “Thinking without Practice Is Not Useful – It’s Destructive” Antiuniversity of London – Antihistory Tabloid, 44. [v] Barry Miles, London Calling: A Countercultural History of London since 1945 (London: Atlantic, 2010), 257-8. [vi] Angela Davis, An Autobiography (New York: International Publishers, 1988), 149. [vii] All three quotes appear in Peter Davis’s documentary Anatomy of Violence. [viii] R. D. Laing, “The Obvious,” in The Dialectics of Liberation, ed. 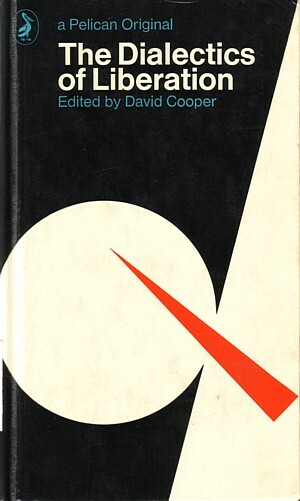 David Cooper (Harmondsworth: Penguin, 1971), 13. [ix] R. D. Laing, “Preface to the Pelican Edition,” in The Divided Self (London: Penguin, 1990), 12.